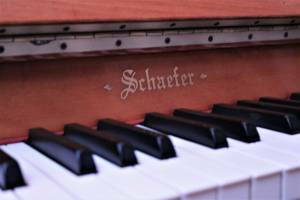 This very beautiful piano is built by Schaefer. It is a compact piano in a modern case with brass fittings. This type of piano is an ideal starter piano which is also capable of satisfying more advanced musicians. It is versatile enough to allow the performer to explore all genres of music and to work through the exam grades. Our Schaefer is in excellent condition and plays easily from its well sorted action, producing a sweet, medium/bright and balanced tone. 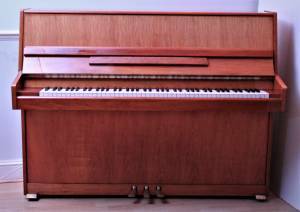 As I mentioned above, it has a modern design case which is compact in size, 108cm tall, 148cm long and 54cm deep, it has a full 88 key keyboard and benefits by having a practice pedal as well. We are offering this piano for sale at £1650 which includes delivery, an adjustable stool, first tuning and a 3 year warranty. The rental option is initially a 6 month contract, delivery is £135 and monthly rent is £35. 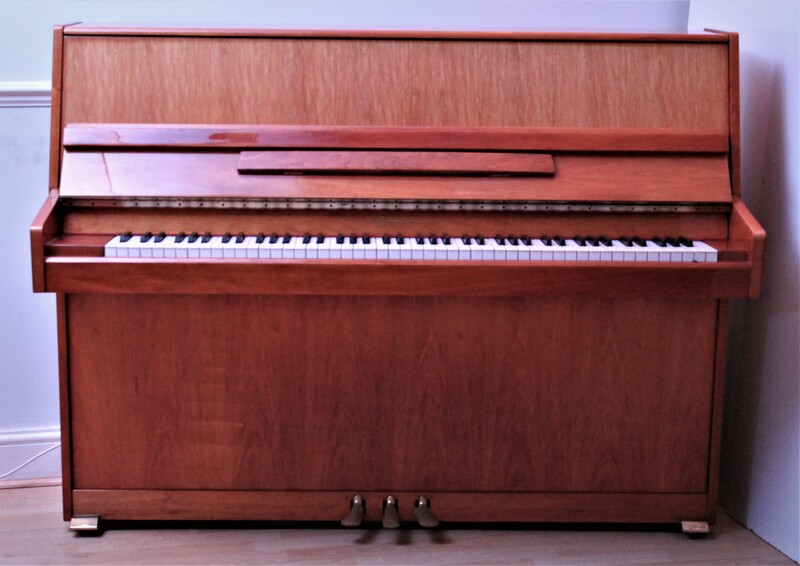 At the end of the 6 months there is the option to buy, continue renting or return the piano. 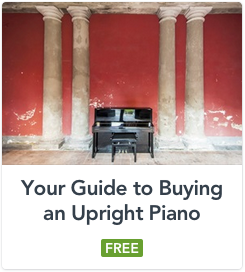 If the option to buy is taken, the delivery charge and the 6 months rent is then taken off price of the piano, all you have to do is simply pay off the balance. If you wish, it is possible to spread that payment over 3, 6, 9 or 12 months, all interest free!